Late check out (after 11:00 AM and before 2:00 PM) may result in a fee. Because we are a small hotel, cancellations affect us significantly, therefore we must abide by our policy in all circumstances. Cancellations made 15 days (or more) prior to arrival are subject to a full refund. In the event you cancel 14 days to 8 days of arrival only 50% of total stay fees will remain your responsibility. For cancellations made within 7 days of your scheduled arrival, you will be held financially responsible for your entire reservation. Changes of reservation date or early departure are treated as cancellations and will carry the same fee(s). You are, however, always welcome to send a friend or a family member in your place (in which case we require prior written notification). Note: Management reserves the right to re-assign rooms under unforeseen circumstances. Parking for the hotel is in our adjacent lot located off Bristol Street. Signage and a view with walkway to the hotel are provided. There is enough parking for 2 vehicles per room. In the event you will have more, please let our onsite manager know so that your vehicle is not towed at your expense. Guests must be 21 years or older with photo identification to reserve a room. Some of our rooms provide lofts. We intend that these are a feature providing a unique experience and expect our guests to use care and caution when entering and exiting the lofts and at all times. The Baehr Haus Boutique Hotel will not be held responsible for any injuries as a result of said loft and guests experience using it, or for any other manner in which guests fail to use general practical and reasonable measures. Guests understand and agree that said care and caution will be used at all times and the will hold the Baehr Haus Boutique Hotel harmless whenever they book one of these rooms or in any circumstance in which a guest chooses to use anything other than care and caution during their stay. ALL reservations require a credit card guarantee at the time of booking. Only registered guests are allowed in the guestrooms for overnight stays. Children 16 and under stay free in parents room. This property has adjoining rooms. Guests can request one of these rooms by contacting the property directly, using the contact information on the booking confirmation. All rooms are non-smoking rooms. Any smoking on the property must be done outside the building. The Baehr Haus Boutique Hotel is a combination of bed and breakfast meets boutique hotel. We are located in downtown Sun Prairie (the only lodging downtown) enabling walking distance (merely 2-3 blocks) to MANY different shops, eateries, and entertainment. 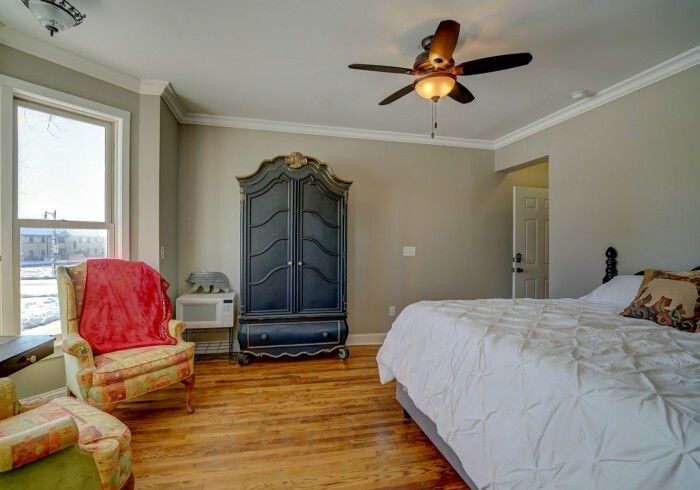 With only 7 rooms, we provide a quaint, personalized experience much like that of a bed and breakfast (less the main kitchen and family dining). In true boutique hotel style, all rooms have their own bathrooms and provide a unique experience.